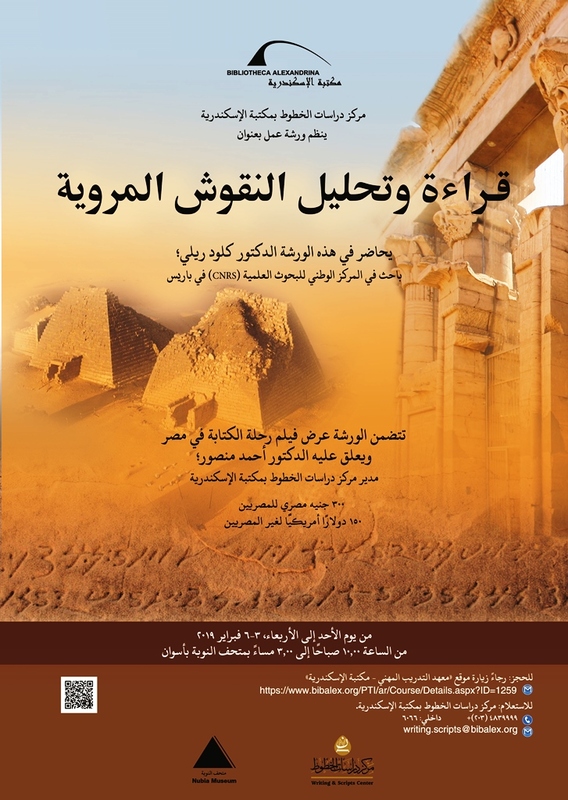 The BA Writing and Scripts Center, in cooperation with the Nubian Museum in Aswan, organizes a workshop entitled “Reading and Analyzing Meroitic Inscriptions”, from 2-6 February 2019, at the Nubian Museum in Aswan. The workshop aims at training researchers in reading ancient writings and Meroitic inscriptions, and allowing them to understand its basic rules. The workshop is given by Dr. Claude Rilly, Researcher at the French National Centre for Scientific Research (Le Centre national de la recherche scientifique) and Expert of Meroitic langage and writing. It also includes the film screening of The Journey of Writing in Egypt, which will be commented on by Dr. Ahmed Mansour, Director of the BA Writing and Scripts Center. This workshop is one of the activities aimed at strengthening the cultural and academic relations between Egypt and African countries, since the vocabulary of the Marwian language is still used in some African languages, and coincides with the selection of 2019 as the year of Africa in Egypt. Moreover, the city of Aswan was chosen as a place for holding this workshop as it is the capital of African culture for the year 2019, and marks Egypt’s presidency of the African Union. The Writing and Scripts Center’s interest in holding this workshop lies in its perennial quest for filling the academic gaps in the field of ancient writing. 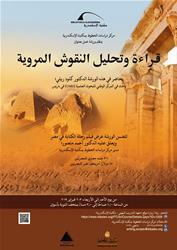 It also strives to encourage Egyptian researchers to participate in research projects both locally and internationally.